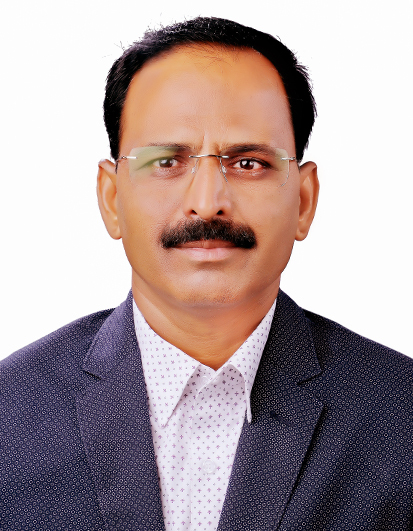 The Department of English of Dr. Babasaheb Ambedkar Marathwada University, Sub-centre Osmanabad was commenced from the academic year 2004. initially Prof. F. A. Siddiqui, Head, Department of English, R. P. College, Osmanabad was appointed as Incharge Proffessor of the Department. Three Lecturers- Shri. A. B. Indalkar, Dr. R. B. Chougule & Shri. D. P. Deolkar were appointed on contributory basis in the same year. Annual pattern of examination was followed in the first two years. In the next year, i. e. during the academic year 2005, two lecturers were appointed on full time regular basis. These two lecturers are Dr. R. B. Chougule and Prof. G. D. Kokne. Among these two lecturers, Dr. R. B. Chougule was appointed as Head, Department of English for two years - Oct. 2005 to Oct. 2007. The Department of English has been given academic flexibility. Consequently, the Department of English has been following semester pattern examination from the academic year 2005. The vision of the department is to provide quality oriented teaching that may bring out the potentiality of the students. The Department takes dedicated efforts to forge a holistic educational growth introducing innovative teaching and learning models, with a strong base of scientific research methods at all levels through organisation of research festivals, as well as a strong and mature balance between modernization and traditional values by sensitizing teachers and students towards a more human approach through the inculcation of ethical and moral values and offering a robust support system, to inspire the youth for strengthening democracy. To enhance the knowledge regarding human relationships. To mould and groom the environment with global requirements. To build the character of dynamism, professionalism, accuracy and timeliness with the assistance of members. Cyberpunk as a Science Fiction, Literary Endeavour - National Level Journal, Vol. I, No. 3; ISSN 0976-299X, Oct. 2010, Pages- 90-98, Sole Author, Peer Reviewed. William Gibson Neuromancer: A Postmodern Science Fiction, Thematics- International Level Journal Vol. 2 ISSN 0975-8313, Jan. 2011,Pages: 68-71, Sole Author, Peer Reviewed . Abstract - Students in rural India possess immense hidden potentialities like the urban students. They do not lag behind in any manner as compared to the students living in urban areas. The difference is in the availability of quality education. Good teachers create good students. Teacher training is an important part of education process. Government should implement appropriate measures to provide quality education in villages. Education is the prerequisite for life of dignity and standard. Students from the rural background face obstacle of low confidence which results in poor performance of the students. Abstract - Roger Hall is commercially most successful playwright in New Zealand. Hall examines suburban life in the context of share market boom and subsequent collapse of share market. He criticizes western economic system and the middle class greed for money. He has described the effects of share market on the middle class families in New Zealand. Implementation of New Right market driven policies Government cut in spending on public welfare and development programmes. Economies were made open for the global market.